Posted by Jess on 17/10/2018. In August, we announced one of our latest projects, project Broak, and today I’m excited to share some updates. In the summer, we were contacted by a young family who live not far from our workshop in Winsley. The young couple are dairy farmers and are just as passionate about the environment and eco-builds as we are. As such they are in the process of building their own eco-home from scratch. The new build is being created using SIPs (Structural Insulated Panels.) 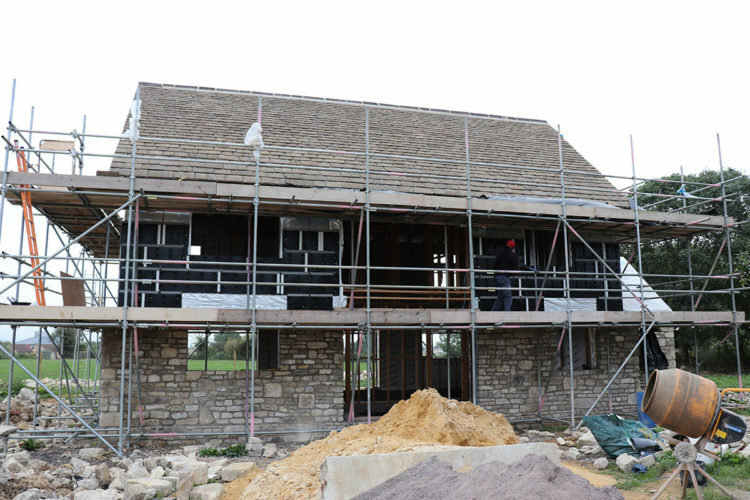 These revolutionary panels now account for 8% of all UK self build construction systems. They are cut to size off site and can be constructed in a matter of days. This sounded a really exciting and unique project so we were delighted when we were asked to create the bespoke windows for the couple’s new home. What’s extra special is the story behind the wood that will be used for the windows. For our client used to work as a ground worker in a local construction company. Four years ago he was working on a project that involved digging out a large area for a lake. It was here that he found a large oak tree. After logging, he realised the tree was actually Brown Oak! Brown Oak is technically not a distinct species of oak, but rather refers to oak (almost always English Oak or another European species) that has been infected with a fungus. This fungus (Fistulina hepatica) has the effect of turning the wood a deep brown colour. Once the wood has been cut and dried, the fungus dies, leaving a rich golden brown lumber. 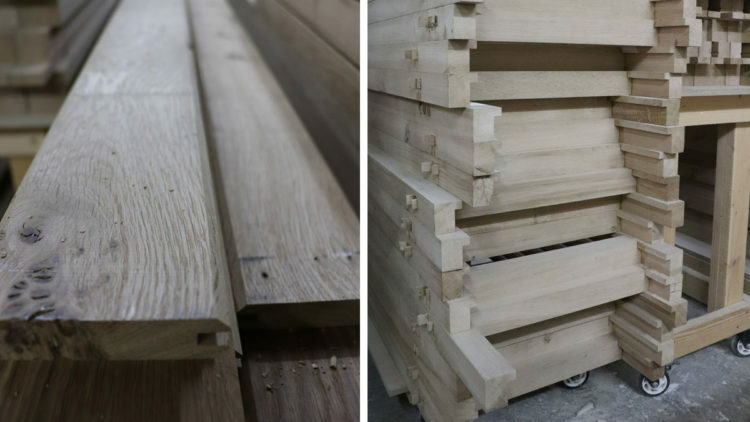 This timber is highly prized, and the rich aged look is absolutely gorgeous! It’s amazing to think it’s the result of fungus. 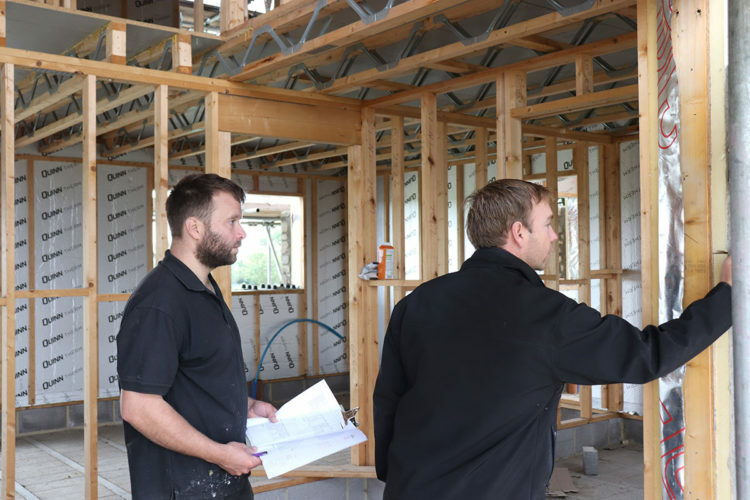 Since being commissioned for the project, experienced joiner Chris joined director James on site to take a look at the development and assess the condition of the brown oak. While on site, Chris and James took measurements for the new windows. 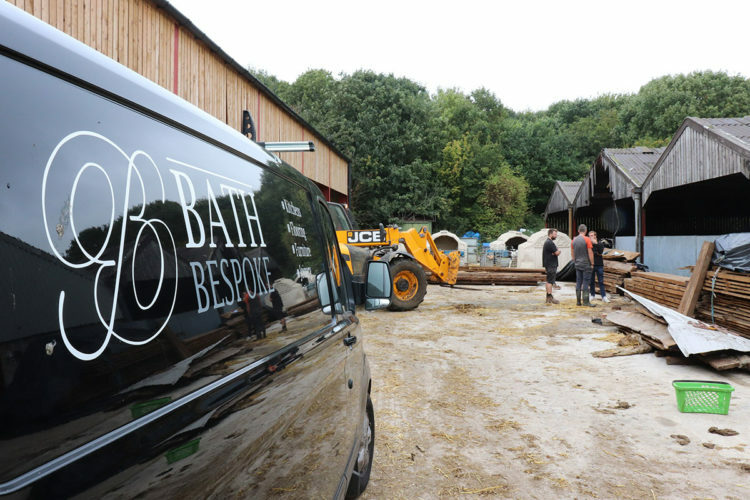 Chris was keen to access the condition of the wood to ensure it was of the right quality and condition. 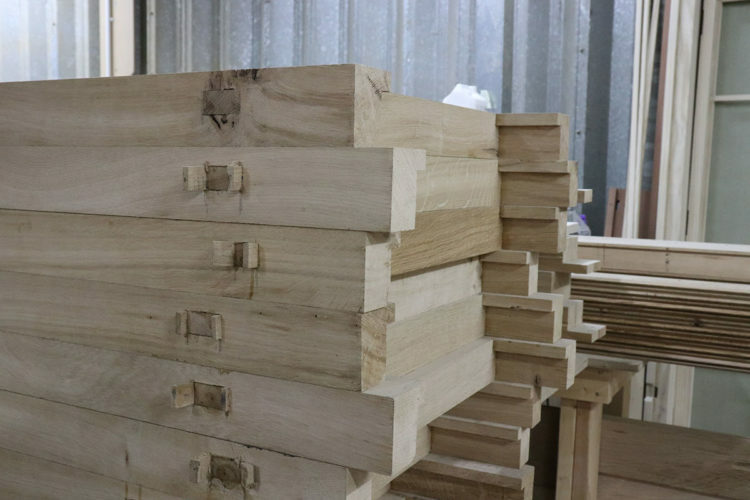 While some of the wood wasn’t suitable for use, Chris was able to use the majority and set about marking it up ready to be cut. 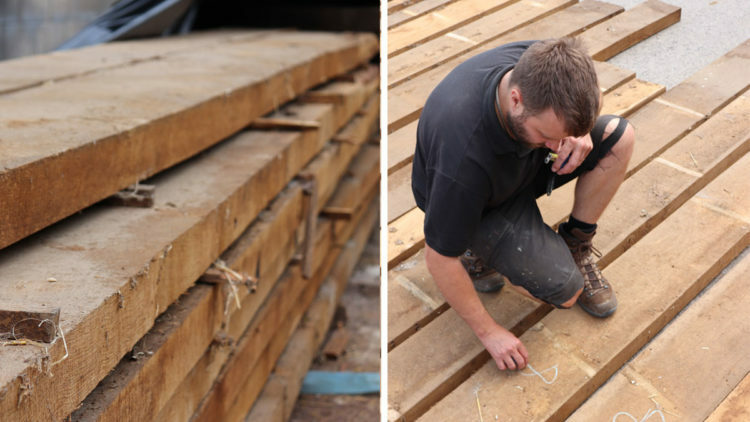 We caught up with Chris after the timber had been cleaned. Here he’s busy cutting the timber to size and shape ready to be created into windows. While some of the windows have now been assembled, Chris is still in the process of making the rest for the large development. The windows will then need to be carefully finished in oil before being fitted! We’ll keep you updated on the next stages! In the meantime, follow us on Instagram for our latest projects in the workshop.